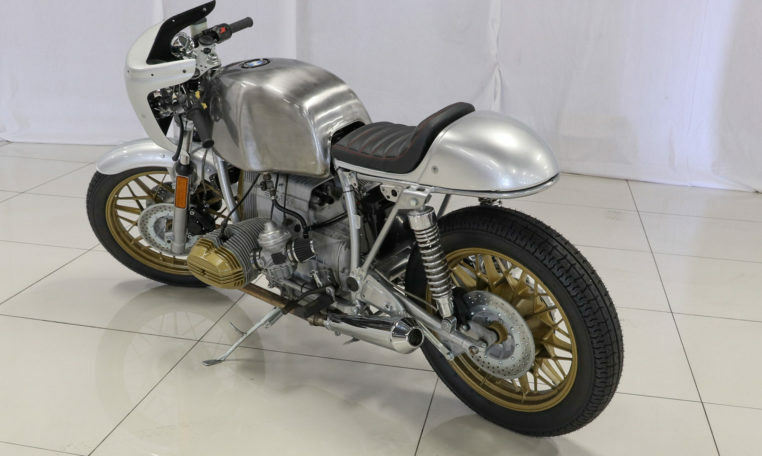 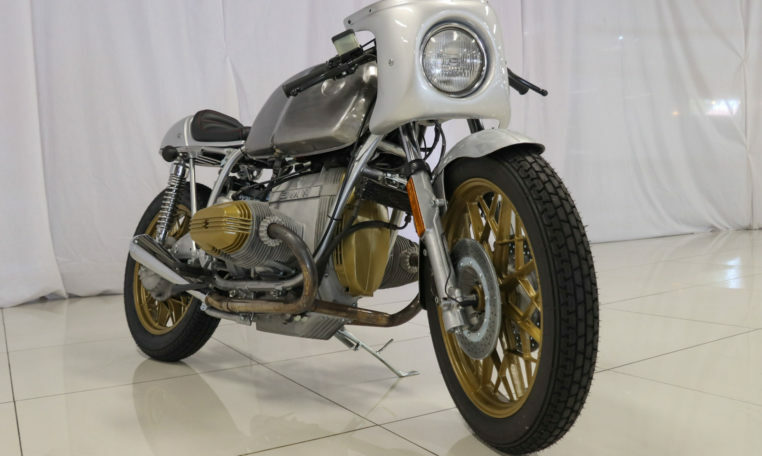 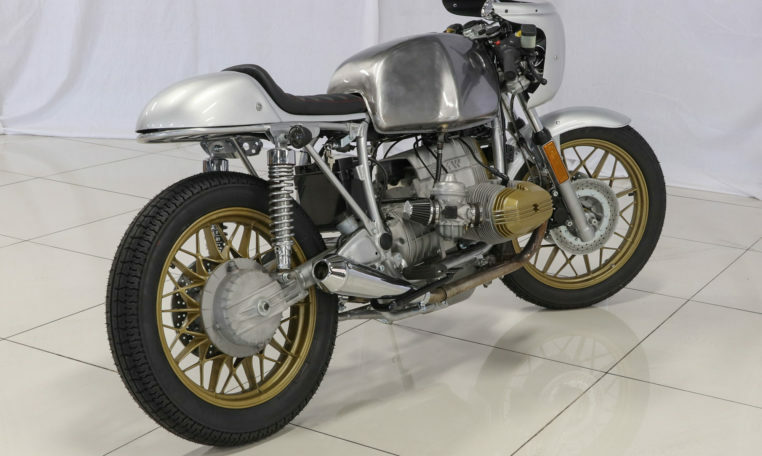 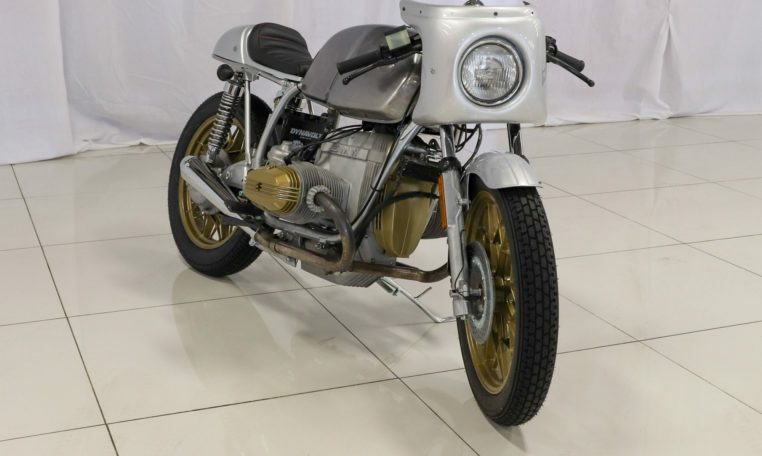 Finished entirely in silver with gold wheels and engine accents, this bike epitomises the classic Cafè Racer. 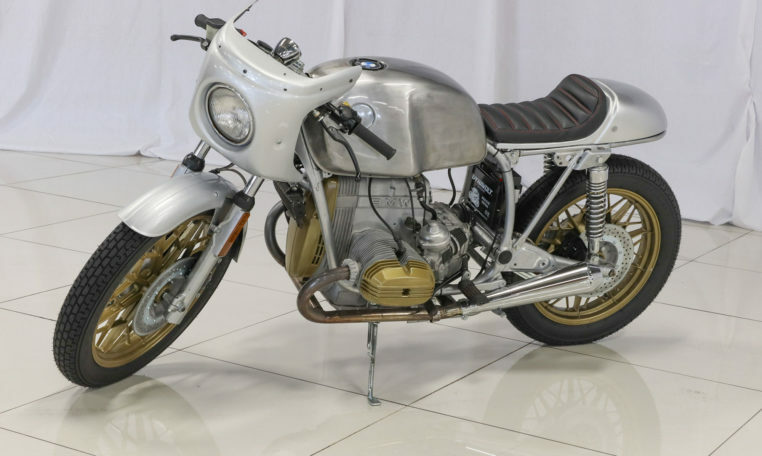 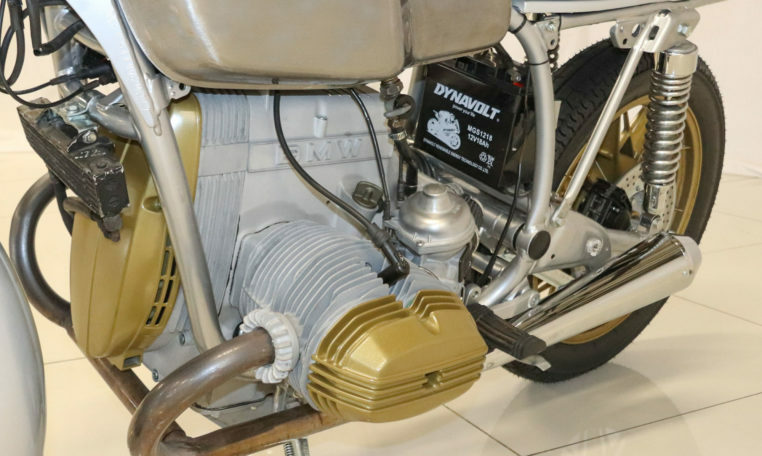 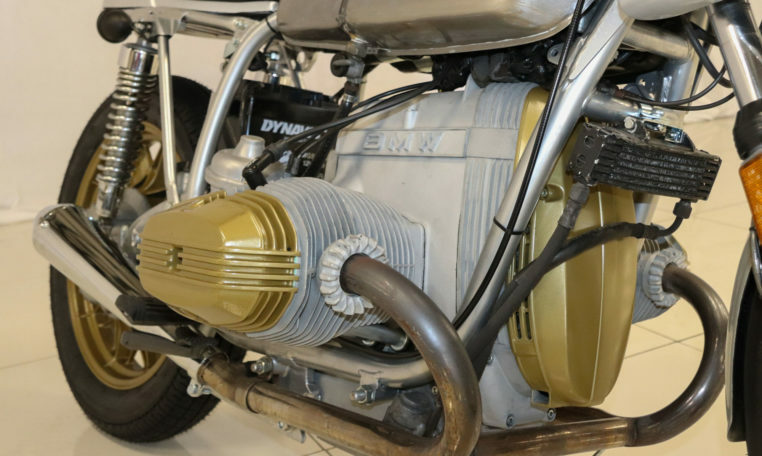 Based on a R100RT, it has been extensively uprated using modern gas shocks, modified and shortened forks & sticky wider Metzeler tires. 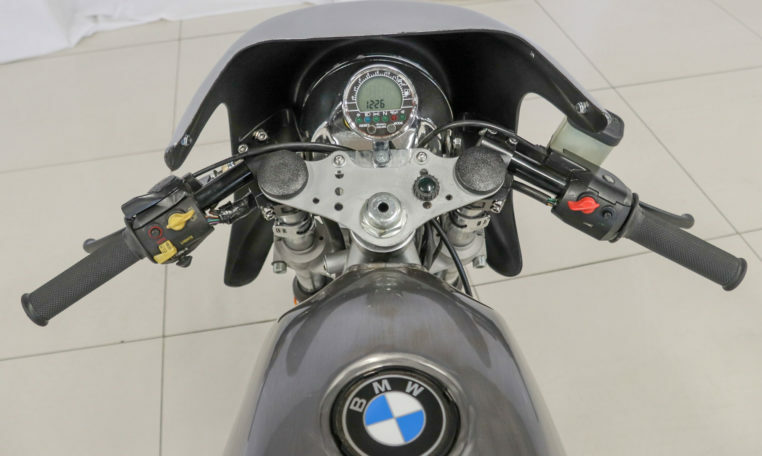 The bike has undergone a thorough rebuild, incl. 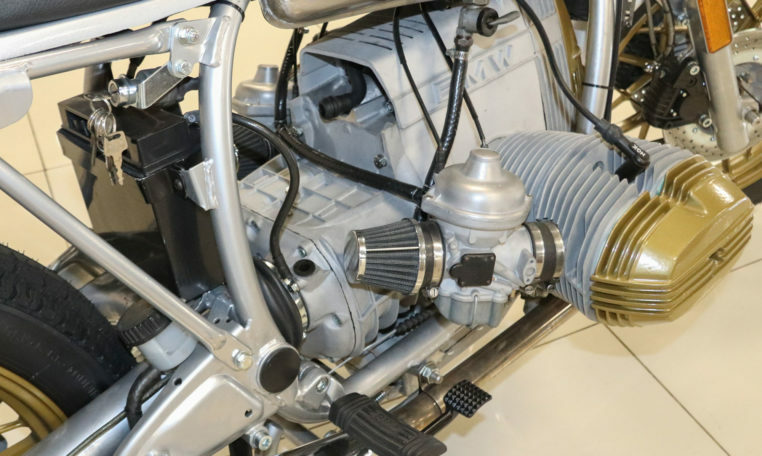 engine, with most parts including rings having been replaced. 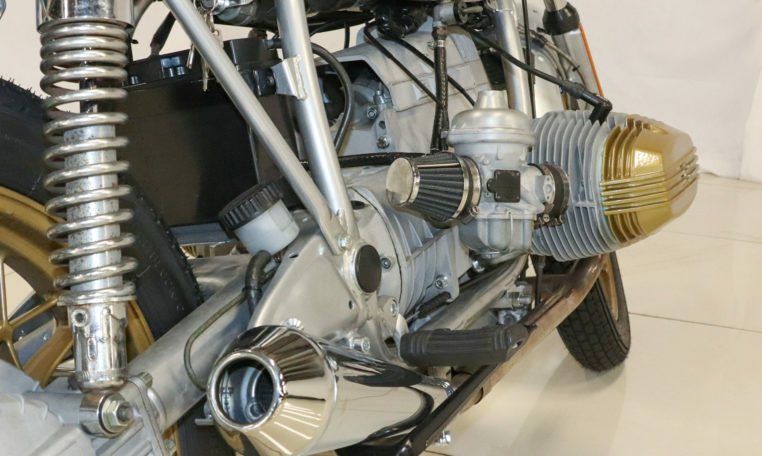 The complete chassis has been powder-coated, and most braking components have been replaced, including master cylinder and disks.